Once again, it’s been awhile. When constantly out of town, recording recipes seems be one of the things I let fall to the wayside, kind of like dusting. Inspired by the end of summer and the onset of fall and after spending time in what I call yankeeland (aka anything above North Carolina), I needed a good dose of Southern food. After spending a couple days with his family in Waxhaw, Caleb came back with a TON of smoked pork shoulder and beef brisket from his dad and lots of peaches from his mom. 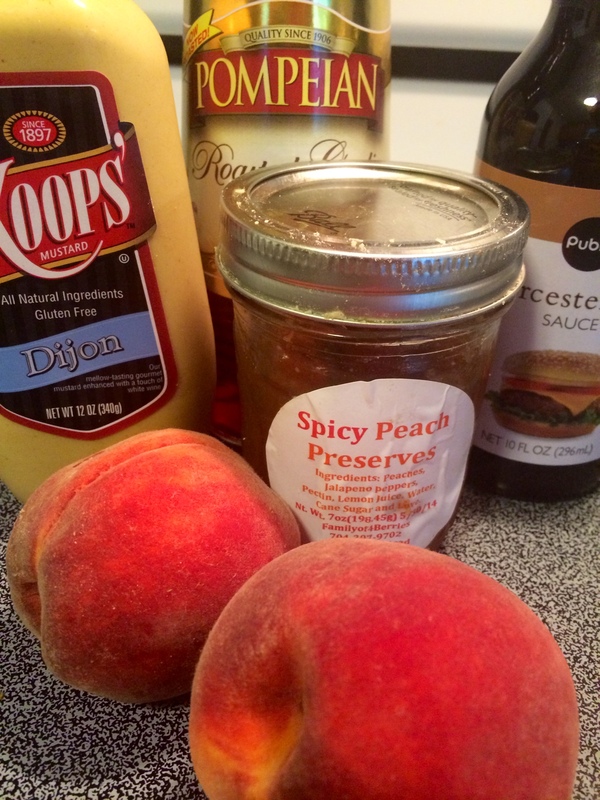 Of course pork and peaches are a stellar match; I shredded up some of the pork shoulder and decided I’d try my hand at a peach bbq sauce. 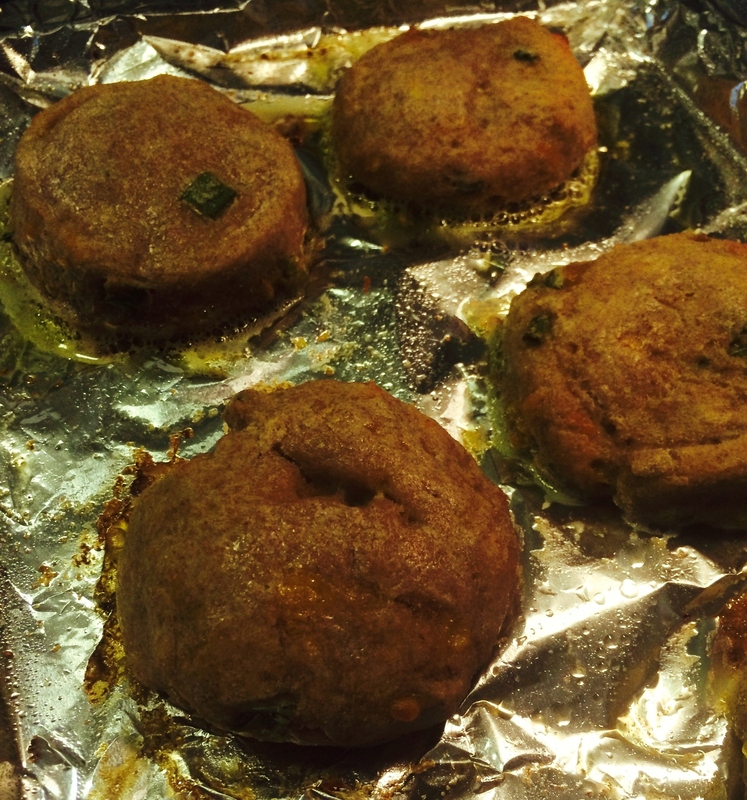 Rather than serving with buns as pulled pork sandwiches, I made good old biscuits with sharp cheddar and green onion and served with simple cut green beans with nothing but garlic, salt and pepper. The biscuits are pretty non-traditional and super simple but the ingredients are not measured at all. I fix biscuits this way when I plan on serving them with something heavy on top, in this case, pulled pork. 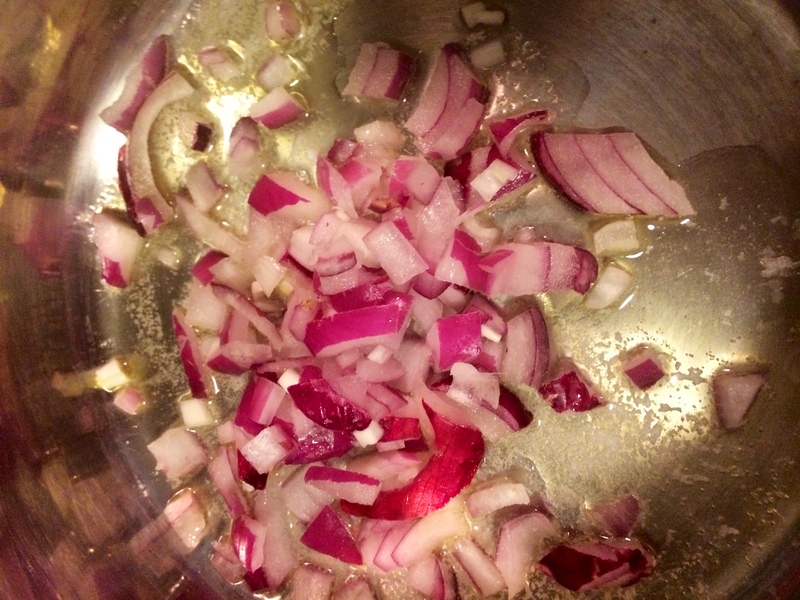 In a medium sauce pan, melt butter and add chopped red onion. Saute until translucent. Add remaining ingredients, stir and bring to a boil. Reduce heat and simmer for 40 minutes, stirring frequently. 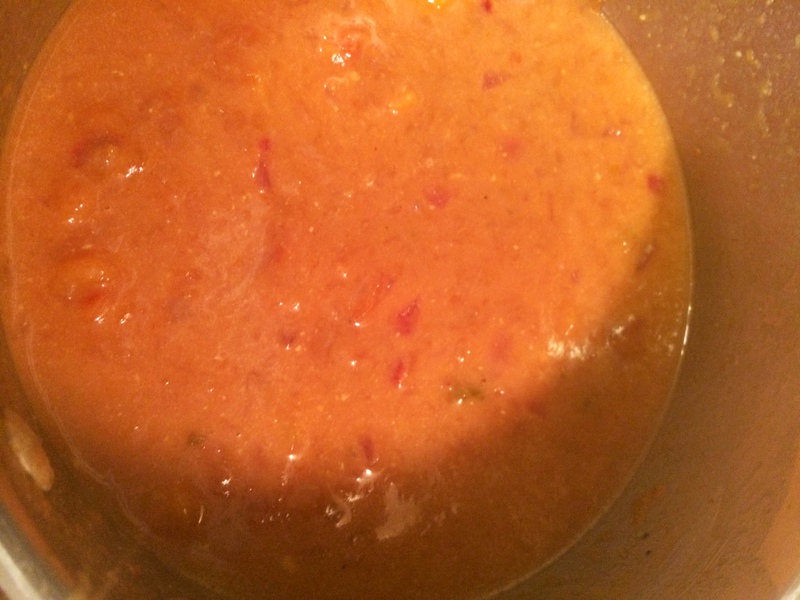 If sauce becomes too thick for your liking, add chicken stock and increase cooking time by 10 minutes. Set sauce to the side. 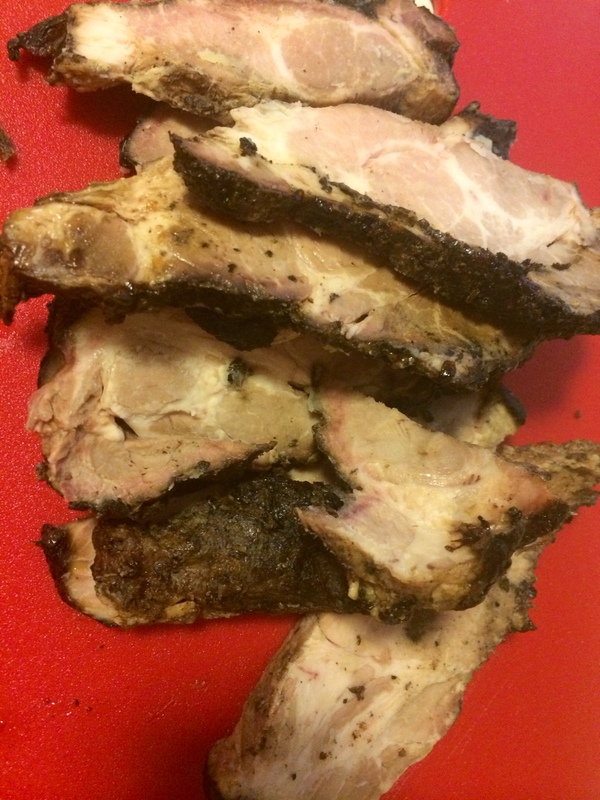 If smoked pork shoulder is hot, allow to cool completely. 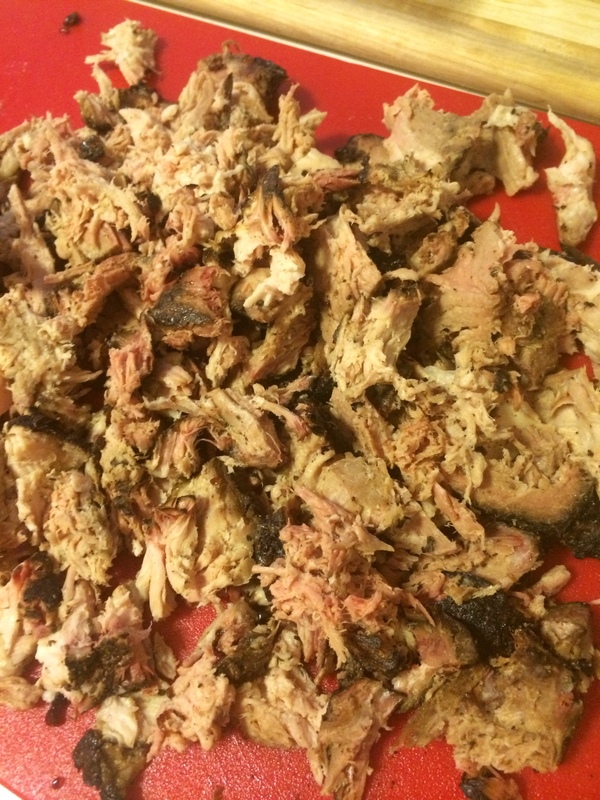 Using your hands and a fork, pull the pork apart. It does not need to be perfectly shredded. 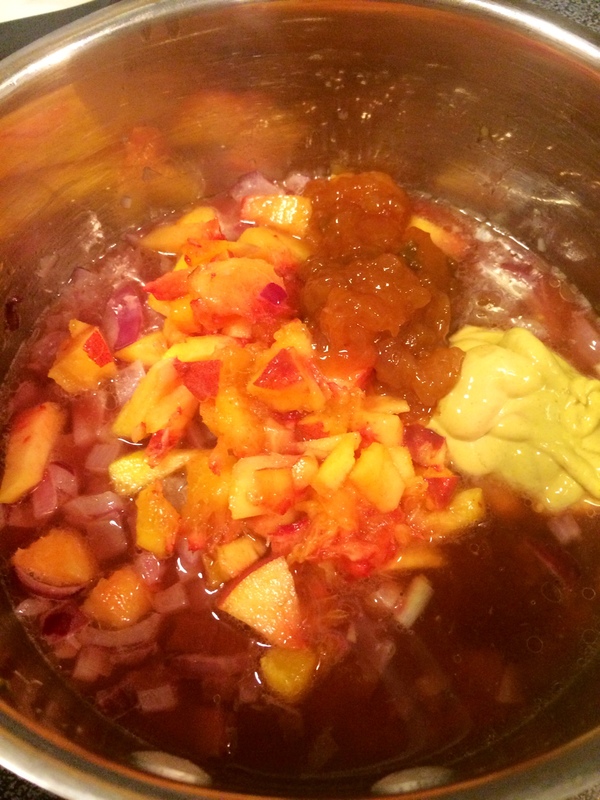 Pour that yummy Carolina Peach BBQ Sauce on top and stir it up real good. Serve it on top of sliced biscuits and make sure the biscuits are covered completely. Instead of a list of ingredients, I’ll just provide basic instructions for these. Add desired amount of flour (any kind of your choosing, I use whole wheat) to a large mixing bowl. Stir in a good pinch of baking powder and salt. Little by little add in yogurt, stirring as you go. Stop adding yogurt once mixture is crumbly and yogurt and flour and evenly distributed. Now, stir in cream until dough becomes a thick and discernible ball. Stir in freshly shredded sharp cheddar cheese and chopped green onion. Place dough on a well floured surface and roll out to 1/2″ thickness. Using a biscuit cutter (or top of a mason jar, like I like to do), cut out biscuits and place on greased baking sheet. Cook for about 15 minutes or until golden. 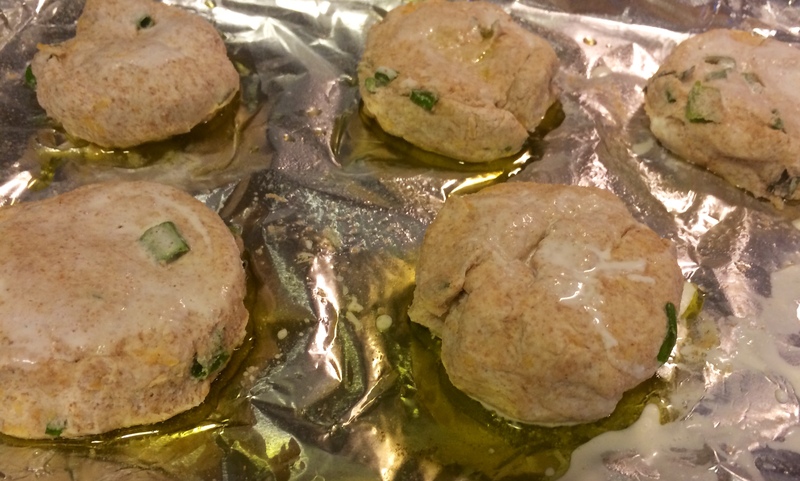 If using whole wheat flour, biscuits will be significantly darker than usual. Keep in mind that the texture of these biscuits won’t be quite the same as a traditional, fluffy Southern biscuit. They are however, very tasty and still definitely biscuits. If you can’t tell, I adore peaches. Peaches encompass all the goodness and sweetness I associate with summertime. I’ll bet you didn’t know that South Carolina is the #1 peach producing state in the country. (If you’re including commercially grown peaches, California tops the list.) Historically, I am not a fan of canned goods of any sort, preserves/jams/jellies included. 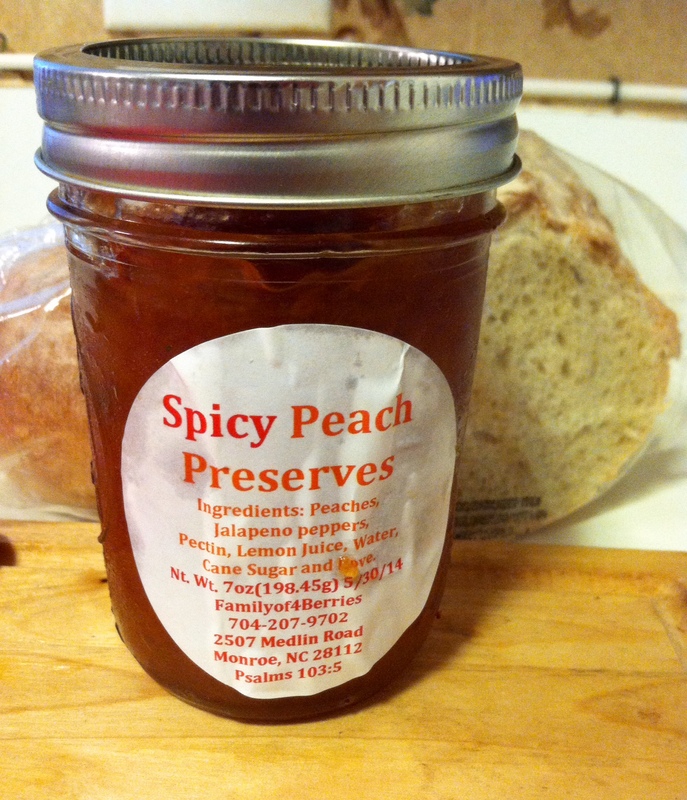 However I’ve recently had a change of heart and have developed a great appreciation for homemade preserves and I couldn’t resist snatching up these spicy peach preserves from the Waxhaw farmers market. This jar of tantalizing goodness inspired last night’s supper. I cook our supper every night (at least on weekdays, weekends we scrounge or eat out) and I’m not one of those foodies who puts a gourmet meal on the table every night. But what I fix is always well thought out and pretty darn delicious. Last night was one of those unspectacular evenings. I seared and sautéed a few thick, lean pork chops (seasoned with herbes de provençe and salt) in olive oil, roasted carrots and turnips with orange peel and fresh oregano and served up leftover Brussels sprouts and brown rice (garlic and chile powder) on the side. 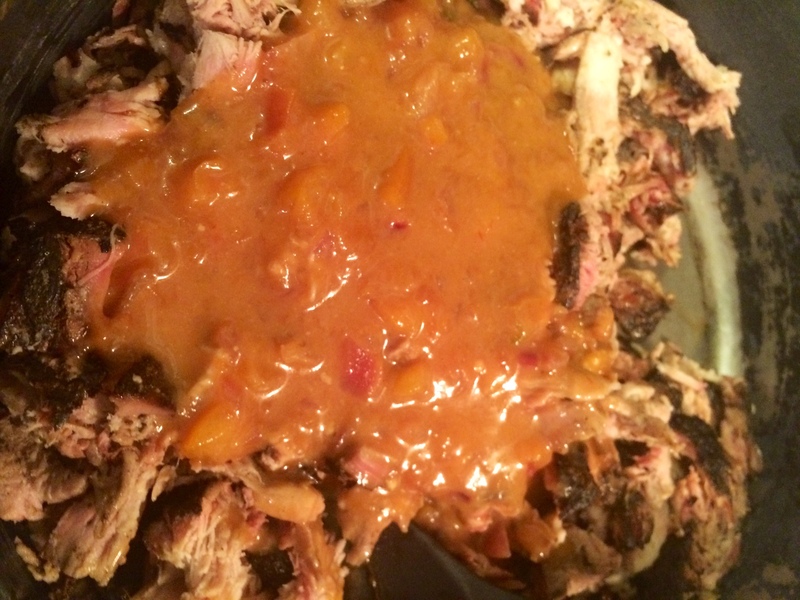 And to top it off, I added the spicy peach preserves to the pork while it rested in a covered pan. Let me tell you, the peach preserves and the pork chops? SO GOOD. The spice in the preserves was perfect with the chile powder and garlic in the rice and the bitterness of the Brussels sprouts balanced it all out so nicely. The carrots were key because pork and root vegetables are classic. Although it wasn’t an exciting meal full of brilliant culinary innovations, it was balanced and satisfying and isn’t that the goal for every home cooked meal? I’d say it is.